WellCare of Kentucky announced the program Monday in Hazard. 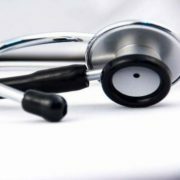 The scholarships will be aimed at increasing the number of doctors and nurses in primary care and psychiatry, according to a news release. CLICK HERE to read more about the scholarship program at Kentucky.com. But when she gets to work it’s non-stop. “I’m pretty much on my feet all day, except for when I‘m charting or doing orders. Nursing is a physical job, but it’s also so rewarding. I like helping people,” says Jones, who works 12-hour shifts rotating from a three to four-day work week every other week. 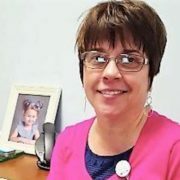 “The longer hours have worked well over the years since her husband works the night shift at Hazard Community and Technical College allowing him to care for their 14-year old daughter, the youngest of their three children, while Carolyn works. With the added programs available, Jones says she would consider getting her Master’s degree, which would take an additional three years. “With additional degrees, I would improve my retirement as well as having more income when my daughter goes to college,” she said. 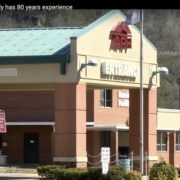 If you happen to find yourself a patient at Tug Valley ARH Regional Medical Center, chances are you will come in contact with a member of the Martin family. You’ll be glad you did, because while there are only four family members on the job, they have nearly 80 years of combined experience working at the hospital. 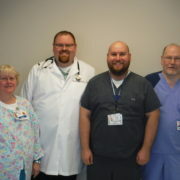 They cover everything from the lab to pharmacy, nursing and a medical practice in pediatrics. 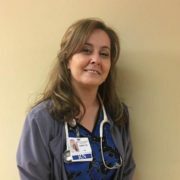 Becoming a Registered Nurse (RN) is a wonderful accomplishment for anyone, but it takes time and money, something Carrie Kiser, an Intensive Care Unit (ICU) RN at Middlesboro ARH Hospital, hasn’t always had a lot of. 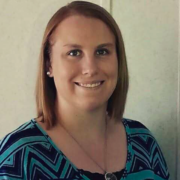 But, Kiser, 26 and a native of Chattanooga, has found a great way to help with both her goals and obstacles. A career in healthcare or medicine can be extremely rewarding – and it does have many benefits. For starters, there are a large variety of career opportunities for people from all educational backgrounds and interests. For example, individuals who do not want to be around blood, but want to work in healthcare, can work as administrative specialists or one several other “non-messing” positions. Snacks can be a nurse’s best friend during long 12-hour hospital shifts. Of course nurses take breaks, but often it is usually not long enough to consume an entire balanced meal. 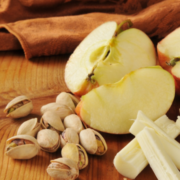 The lingering question is– what is a nurse supposed to snack on to boost energy levels while providing enough calories to sustain those energy levels throughout a shift?